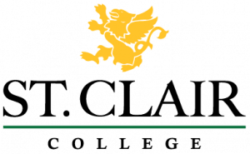 St. Clair College is the place to start your journey in pursuit of your career and lifelong learning. It’s where you will learn new things, expand your mind, create lasting friendships, experience college life, and most importantly, get the skills and knowledge you need to get the job! For more information, email us at info@stclaircollege.ca. For Continuing Education inquiries, e-mail coned@stclaircollege.ca.